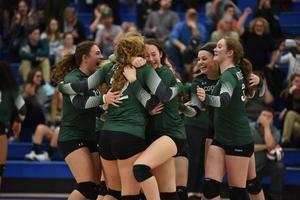 The Cougars swept Chestnut Ridge in three sets Tuesday to claim their 15th consecutive District 5 title, and their 16th in the past 17 years. Hunter Tremain broke the North Star rushing record this past Friday. 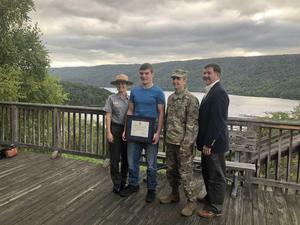 Congratulations, Hunter! 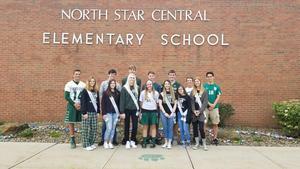 The Homecoming Court Visits the Little Cougars!